Could a Harry Potter reboot be coming our way? There is no official indication that's the case, but Daniel Radcliffe does believe it to be an eventuality. Warner Bros., for the time being, is content to see how their Fantastic Beasts franchise plays out, as they are gearing up for the third entry in what is expected to be a five-movie prequel/spin-off series when all is said and done. Beyond that? The studio may well see money to be made by revisiting the Wizarding World down the line. Daniel Radcliffe essentially grew up in the world of Harry Potter, having played the titular wizard in all eight of the original movies. He's since moved on to do a lot of other work in Hollywood, most recently on the new series Miracle Workers. Radcliffe was promoting the show at the Television Critics Association winter press tour and was asked about a possible reboot. Here's what he had to say about it. "I definitely think there will be another version of it within my lifetime. It will be interesting to see. At the moment those films have sort of a sacred varnish on them, but that will be worn away at some point... I'm just intrigued to see when that happens." The question wasn't specifically aimed at a new big screen iteration. 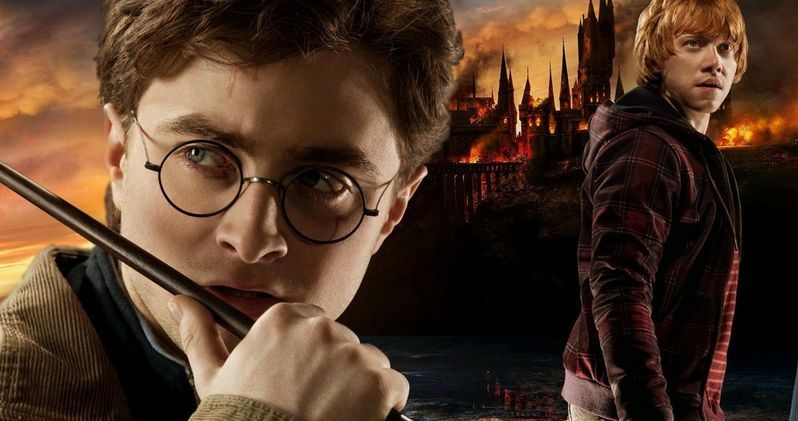 Daniel Radcliffe, for his part, expressed that he doesn't know "what would be gained" by rebooting J.K. Rowling's beloved creation on TV right now. But the Wizarding World is vast and there are many stories to be told. Radcliffe feels there are plenty of corners of that world to explore and feels seeing the older generation tackled on TV might be worthwhile. "I feel like there are other stories from that world that you could absolutely turn into a TV series, 100 percent. A series with the older generation, that could be very cool." At this point, if nothing more were to ever happen, the Harry Potter franchise is unquestionably one of the most successful of all time. The eight original movies grossed $7.72 billion at the global box office. With the first two Fantastic Beasts movies factored in, that total climbs to $9.19 billion. Even on the low end, assuming the new series gets to its planned five movies, Warner Bros. will be looking at around $11 billion in box office receipts. And that's on the conservative end, based on the lower returns brought in by The Crimes of Grindelwald last year. With that, an eventual continuation, reboot or some new version of the franchise would only seem to make sense. Whether or not that's an actual retelling of Harry Potter's story, a movie adaptation of the play The Cursed Child (which J.K. Rowling is adamant won't happen) or something for TV, Daniel Radcliffe probably has a point. Though, that certainly seems to be a long way off. This news was previously reported by TV Guide.